313 Commonwealth is located on the north side of Commonwealth, between Hereford and Massachusetts Avenue, with 311 Commonwealth to the east and 315 Commonwealth to the west. 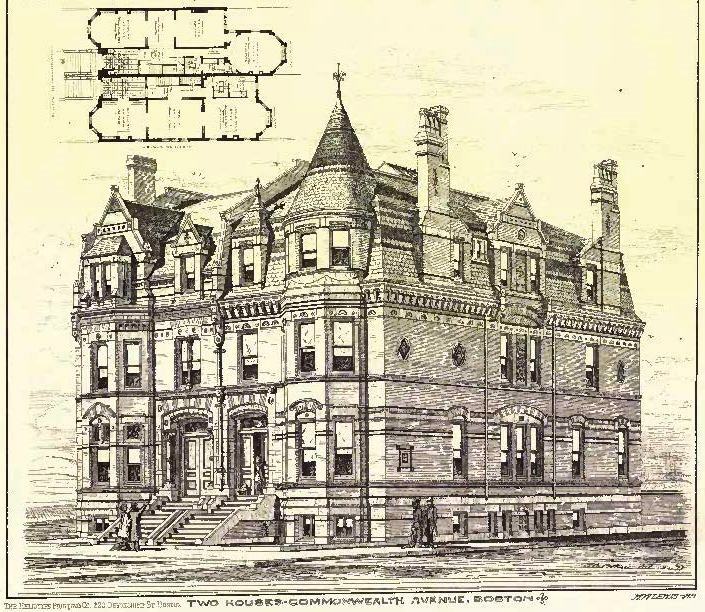 313 Commonwealth was designed by architect William Whitney Lewis and built in 1877-1878 by Woodbury & Leighton, masons, and John Morrison, carpenter, one of two contiguous houses (311-313 Commonwealth). It was built as the home of Warren Davis Hobbs and his wife, Anna Frances (Kettell) Hobbs. He is shown as the owner on the original building permit application, dated August 15, 1877, and on the final inspection, dated November 4, 1878. Anna Hobbs purchased the land for 313 Commonwealth on April 24, 1877, from Grenville T. W. Braman, Henry D. Hyde, and Henry M. Whitney, trustees of a real estate investment trust that had purchased several parcels of land on March 1, 1872, from the Boston Water Power Company. 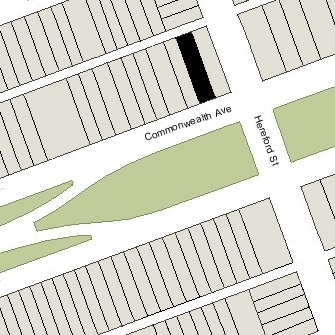 Click here for an index to the deeds for 313 Commonwealth, and click here for further information on the land on the north side of Commonwealth between Hereford and Massachusetts Avenue. By mid-1879, Warren and Anna Hobbs had made 313 Commonwealth their home. They previously had lived at 162 West Newton. He was a wholesale wool merchant. The Hobbses’ children, Henrietta and Conrad, lived with them. Henrietta Hobbs married in November of 1895 to Homer A. Norris, a musician and music teacher, and moved to the Hotel Oxford (southeast corner Exeter and Huntington). They divorced and she marred again in October of 1902 to Howard Walter Beal, a physician and surgeon. Conrad Hobbs, a wool merchant, married in November of 1906 to Jessie Langmaid and they moved to 31 Hereford. Anna Hobbs died in December of 1919. By 1920, Warren Hobbs had been joined at 313 Commonwealth by his widowed daughter, Henrietta (Hobbs) Norris Beal, whose husband, Howard Walter Beal, had been killed in 1918 in World War I while serving as a US Army surgeon. Warren Hobbs died in February of 1922. On June 7, 1923, 313 Commonwealth was purchased from Henrietta (Hobbs) Beal and Conrad Hobbs by Katherine (Kate) (Pennell) Price Carlisle Hull Chaney, the wife of leather and fibre manufacturer Franklin Vane Chaney. They had been married in 1922 and previously had lived at The Puritan at 390 Commonwealth. In July of 1923, Kate Chaney applied for (and subsequently received) permission to significantly remodel the property, including replacing the front façade with a new, Georgian brick façade with a bow window and roof balustrade. The remodeling was designed by architects Parker, Thomas, and Rice. 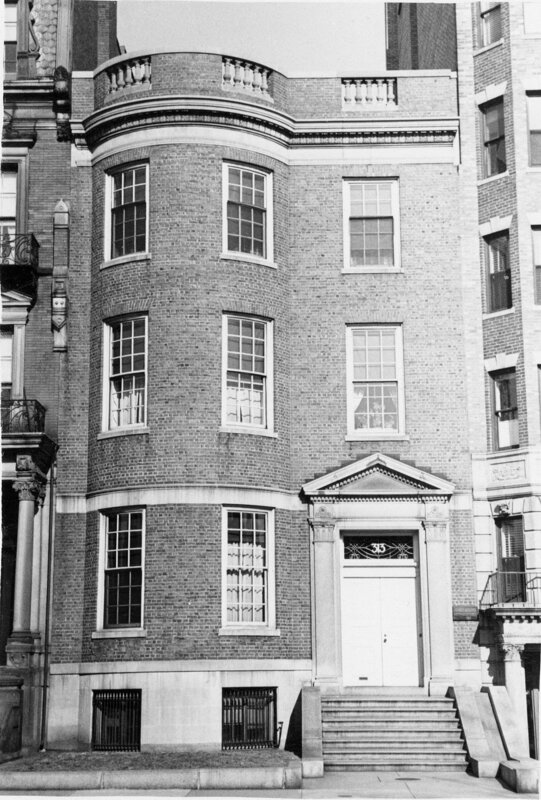 The Chaneys lived at The Puritan during the 1923-1924 season while the work was being completed, but thereafter made 313 Commonwealth their home. They continued to live there during the 1931-1932 winter season, but moved thereafter to an apartment at 6 Arlington. On December 15, 1931, Kate Chaney transferred 313 Commonwealth to her husband’s firm, F. V. Chaney, Inc., and on June 28, 1932, it was acquired from F. V. Chaney, Inc., by Pennell Cox Price, Kate Chaney’s son by her first marriage, to Isaiah Willis Price. He and his wife, Eleanor Howe (Damon) Price, lived in Larchmont, New York. On October 17, 1932, 313 Commonwealth was purchased from Pennell Price by real estate dealer Elliott Henderson, and on January 5, 1933, it was acquired from him by real estate dealer Henry C. Brookings. On February 9, 1933, the Boston Globe reported that Saxon Dickinson Clark, a produce dealer, had been the successful bidder at the auction. He and his wife, Mildred A. (Goodenough) Clark, lived at 94 Orchard in Jamaica Plain. Saxon Clark either was bidding on behalf of Dr. Juanita P. Johns or sold his right to acquire the property to her, and on July 28, 1933, she purchased 313 Commonwealth from from Henry Brookings. She was a physician. She previously had lived in Scituate and maintained her office at 144 Commonwealth. In May of 1933, before taking title, Dr. Johns applied for (and subsequently received) permission to convert the property from a single-family dwelling into a residence and doctor’s office. The application states that there are “no alterations to be made,” but it appears that the property was used as a three-family dwelling and doctor’s office. Dr. Johns was joined at 313 Commonwealth by Georgia Laura White, former Dean of Women at Cornell University (from which Juanita Johns had graduated in 1922) and at Carleton College in Northfield, Minnesota. Georgia White was the daughter of George Leonard White, treasurer and music director of Fisk University in Nashville, founded in 1866 by the American Missionary Association to provide a liberal arts education “to young men and women irrespective of color.” In 1871, the college was facing financial difficulties and George White organized a choral ensemble of students and took it on tour to raise funds for the school. The Fisk Jubilee Singers subsequently toured the United States and Europe, and gained international renown. Georgia White continued to live with Dr. Johns until her death in May of 1949. Dr. Johns continued to live and maintain her medical practice at 313 Commonwealth until about 1953, when she moved to 300 Commonwealth. On June 26, 1953, 313 Commonwealth was purchased from Juanita Johns by Charles Sidney White and his wife, Elvira Rose (Binda) White. They lived at 31 Marlborough. Charles White was the son of Asher White and his wife, Leah (Cohen) White; he was not related to Georgia Laura White. 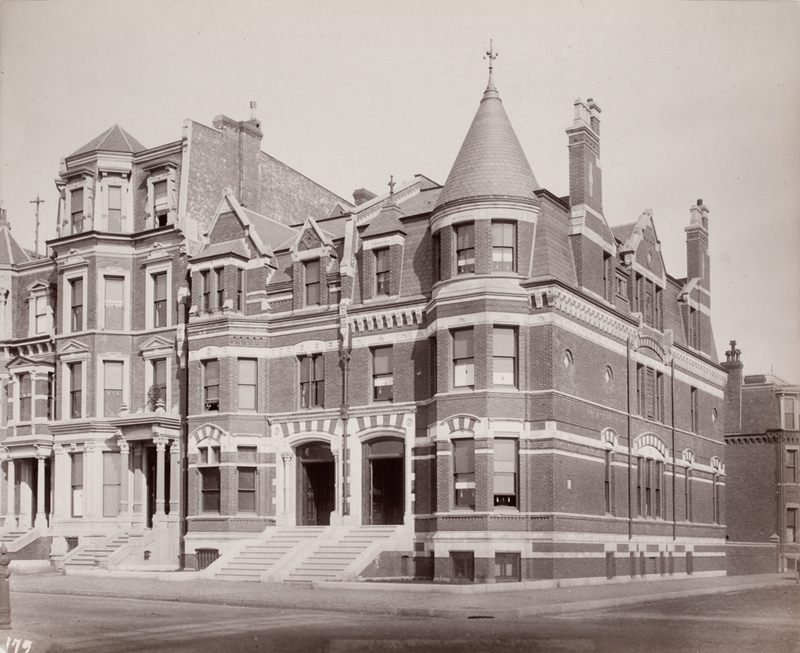 In June of 1953, Charles White applied for (and subsequently received) permission to convert 313 Commonwealth from a three-family dwelling and doctor’s office into eight apartments. The property changed hands and on October 14, 1977, was purchased by Bernard P. Scott. On December 16, 2010, 313 Commonwealth was purchased from Bernard Scott by the 313 Back Bay LLC (James E. Keliher, manager). That same month, James Keliher filed for (and subsequently received) permission to convert the property into three apartments. 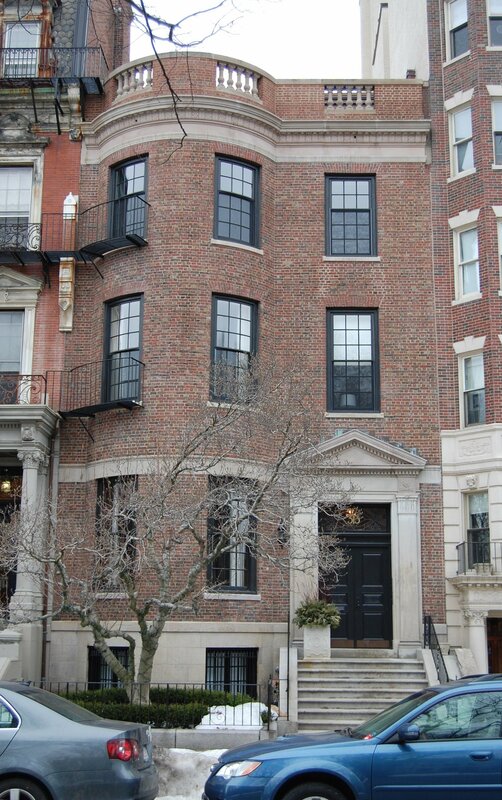 On February 14, 2012, 313 Back Bay LLC converted the property into three condominium units, 313 Commonwealth Avenue Condominium.